Plump and juicy Californian raisins covered in dark and rich, raw chocolate make for a delicious and healthy snack. Packaged in a handy snack pack, they are great to pop into lunch boxes or for a mid-morning treat. raw raisins (44%, includes sunflower oil), raw cacao mass, coconut palm sugar, virgin cacao butter, cacao powder. Cacao solids: 72% minimum. 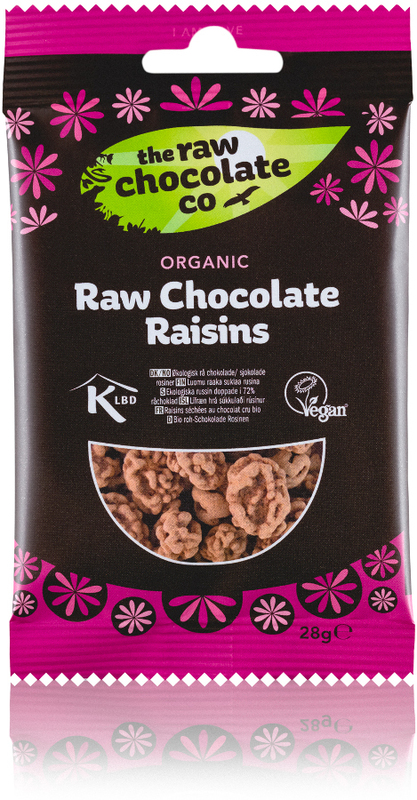 The The Raw Chocolate Co Chocolate Coated Raisins Snack Pack - 28g product ethics are indicated below. To learn more about these product ethics and to see related products, follow the links below. 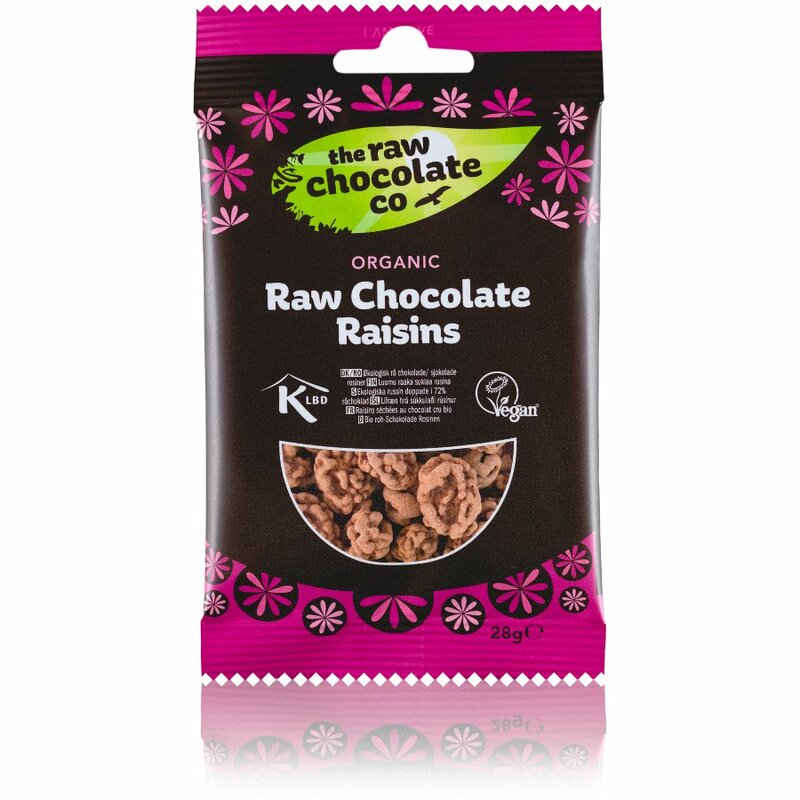 There are currently no questions to display about The Raw Chocolate Co Chocolate Coated Raisins Snack Pack - 28g.